Oils, Serums, Gels, Creames, Salves, Sprays…Oh My! 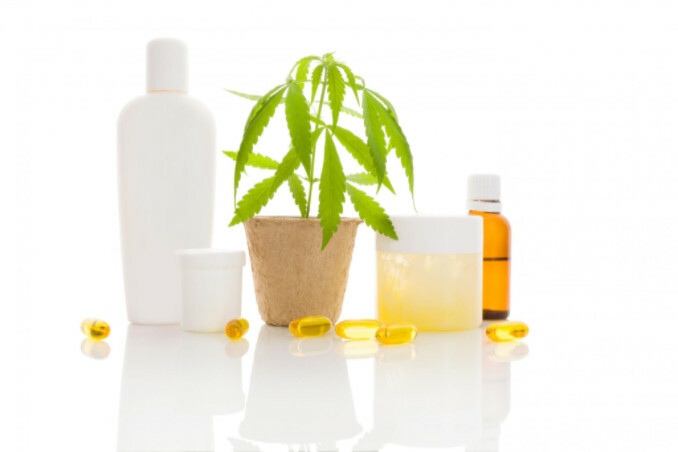 Learn about the various forms of hemp and cannabis topicals. Both hemp and marijuana derive from the Cannabis Sativa species of the cannabis plant. Hemp and marijuana both contain cannabinoids and other ingredients that help relieve pain and inflammation. However, the two plants have several differences, including growing conditions and legalization. The most notable difference, though, is that marijuana contains between .5 and 30% tetrahydrocannabinol (THC), while to be considered hemp a plant must contain less than .3% THC. THC is known for its psychoactive properties responsible for the euphoric high or “stoned” feeling. Whether its hemp or marijuana, the ingested forms of cannabis are primarily used either for recreational or medicinal purposes. Using cannabis and cannabis oil in different topical forms can often provide more immediate and localized relief without the worry of side-effects, contraindications, or legal ramifications. • Oils – Oils derive from the seed or the root of the cannabis plant. Pure essential hemp oil should not be applied directly to the skin. Massage oils, which often contain cannabis oil, are typically mixed with carrier oils such as olive or almond. • Serums – Serums are a very concentrated form derived from the root of the plant. Many massage therapists, chiropractors, and acupuncturists use hemp oils and serums since the science behind the product works similarly and complements their healing method. • Gels – Gels are particularly useful in treating skin problems such as acne. • Creams and lotions – Cannabis creams have a less greasy feel than oils and serums, and are often used for more general body aches and pains. • Salves and balms – Salves and balms are made by adding infused oil to beeswax. Salves and balms are especially useful for intense localized pain. • Sprays – Sprays infused with cannabis are easy to use and very portable. They are a favorite of athletes and outdoor types for insect bites and other skin afflictions. Topical cannabis treatments work directly with the endocannabinoid system, or ECS, on a cellular level. By penetrating the C1 or C2 receptors (depending on the strain of cannabis), they send a message to the DNA through the cell nucleus. This process produces a protein which halts the production of arachidonic acid which is responsible for the pain and inflammation. Hemp topicals work with the body to get to the source of the pain rather than just masking it like many other topical products. In addition to having almost no adverse side-effects, most topical cannabis products offer pleasant cooling or warming effects and are usually combined with other essential oils which have analgesic and other healing properties, and also have the psychological component of a pleasant smell. There are some conditions involving the digestive system, such as IBS and Crohn’s disease, that don’t respond positively to topical cannabis. Additionally, there are forms of edible hemp such as seeds and oils which contain important essential fatty acids or EFAs and provide an excellent form of protein. Patients suffering from nausea and severe pain may also find a combination of ingested and topical hemp may be the best way to manage their symptoms. Hemp topicals are easier to obtain than ingested forms of cannabis. Most topicals fall under the category of industrial hemp, which is legal to buy throughout the United States as long as it was produced in a state or country where cultivating and processing hemp is legal. Above all, when shopping at a retail store or online for topical cannabis products, make sure you are selecting high-quality products from ethical and responsible companies.